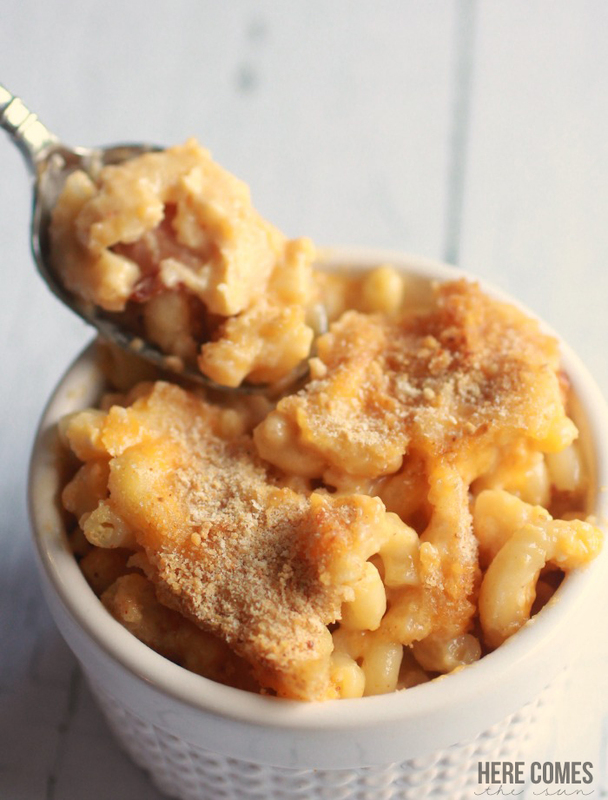 So… I think that macaroni and cheese may just be the best comfort food ever. There is this restaurant in Baltimore called Mamas on the Half Shell and they served the most amazing baked macaroni and cheese. 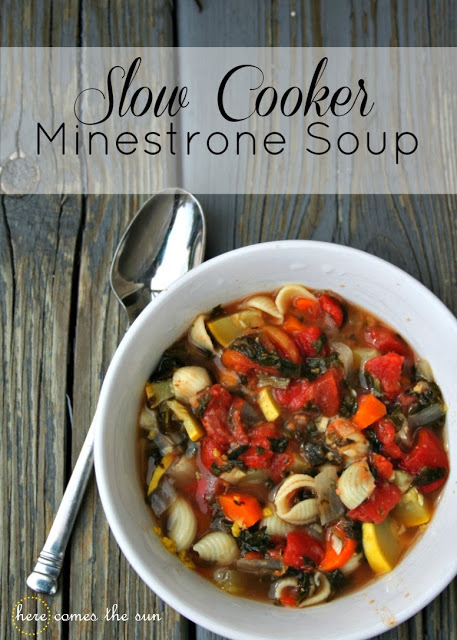 It comes in a small white bowl , is ooey-gooey with a crispy, crunchy top and just oh so delicious. A little side dish would do for an entire meal, it was just that filling. 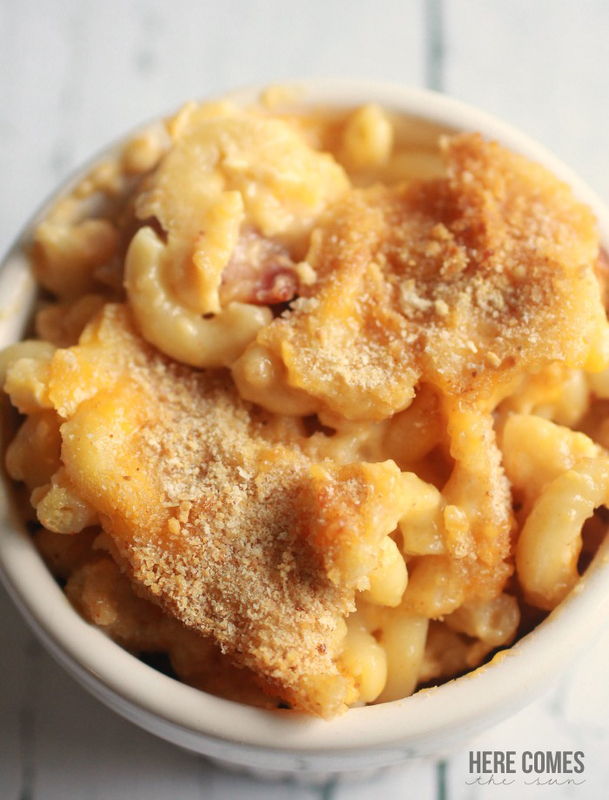 When we were deciding on what to make for our first football couch-gate of the year, baked mac and cheese topped the list. But we would be adding one additional ingredient to kick it up a notch…BACON. Because honestly, bacon makes everything better. So I give you.. 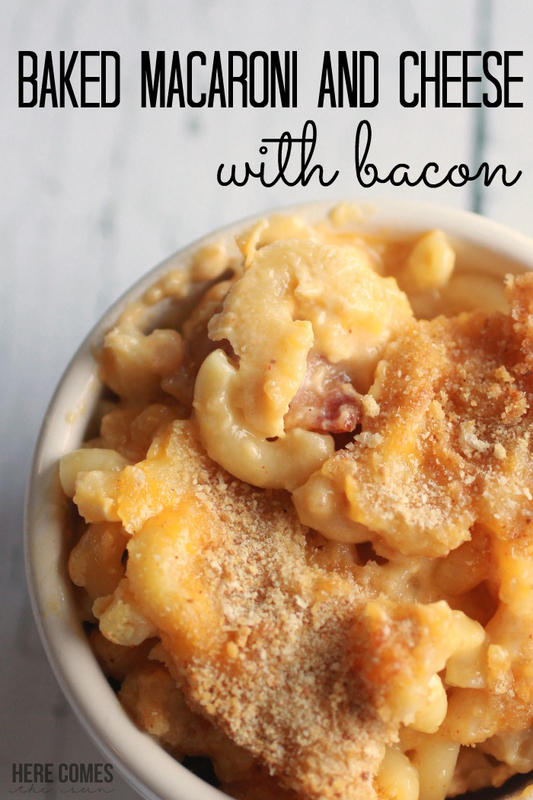 Baked Macaroni and Cheese with Bacon. 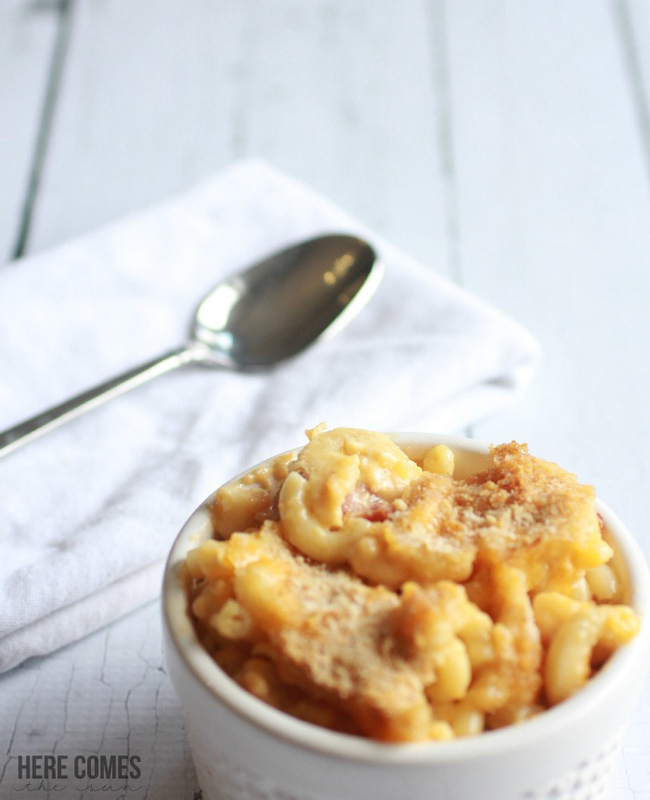 While macaroni is cooking, whisk together eggs and evaporated milk. Mix in cheeses, salt and spices. Drain macaroni and pour into bowl with bacon and garlic. Stir to combine. Pour egg and milk mixture over pasta and stir to combine. 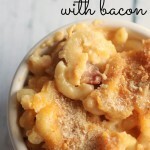 The bacon in this recipe adds a unique flavor to plain old mac and cheese and the cayenne pepper give it a little kick. The only thing I would do differently next time is add more bacon. Lots more. I’m kind of a bacon fanatic. It is probably second on my list behind chocolate. Have you ever tried chocolate covered bacon? I have not but am determined to soon. So are you a bacon fanatic like me? What types of food do you like to add bacon to?